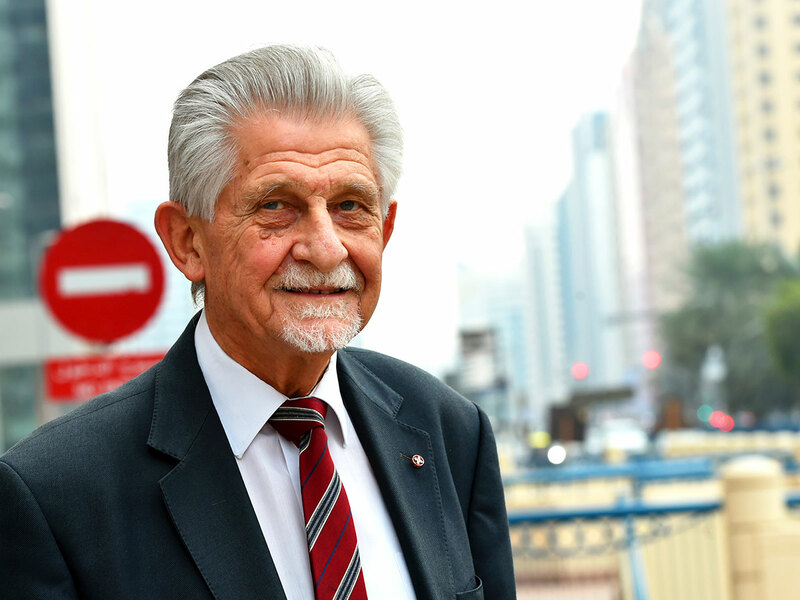 Abu Dhabi: An 82-year-old British expatriate who has been living in Abu Dhabi for 50 years, except for a short interval, says he cannot think of leaving the UAE. David Spearing has been enjoying his retired life in the capital since he sold off his own engineering consultancy firm in 2002. The single man has been living with a caregiver in his apartment but he never felt lonely in the city that offered him many friends and professional opportunities. “I will continue to live here as long as possible,” Spearing told Gulf News in an interview. He says Abu Dhabi is a calm and quiet city and he fell in love with its serene life since he landed here in July 1968. 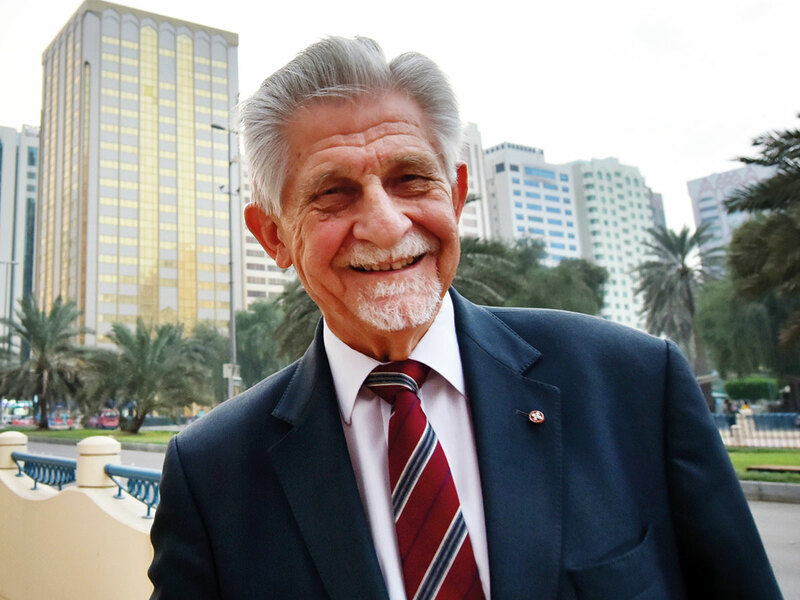 A civil engineer, Spearing started working with a British architectural firm that was assigned to construct some of the landmark buildings in Abu Dhabi and Al Ain in the 1960s and 1970s. He heard through the grapevine that the then Trucial States ruled by the British would become a federation of states under the leadership of the late Shaikh Zayed Bin Sultan Al Nahyan. In 1968, he stayed at the Beach Hotel in Abu Dhabi for 18 months. The hotel was where Corniche Hospital stands now. I was the first DJ in the emirate ... After 50 years, the UAE is more home to me than the UK. I have many friends here. I am happy here. He used to travel to Al Ain from Abu Dhabi as part of a prominent construction project there. His Highness Shaikh Khalifa Bin Zayed Al Nahyan, president of the UAE, who was then Abu Dhabi Crown Prince, ordered to build a hotel in Al Ain, he said. Spearing was a frequent visitor to the Hilton Hotel in Al Ain where he had the fortune to meet prominent people from around the globe. Even during the visits of heads of state, security arrangements were not very strict those days. “Once I was able to take a photo of the late Shaikh Zayed and the Indonesian leader Suharto in 1977,” he said, showing that picture. Spearing became chairman of the Club in 1980s. He also occupied leadership positions of several other organisations such as Royal Society of St George, the UAE branch of Institute of Civil Engineers and the British Business Group. In 2005, he established Oxford and Cambridge Society UAE, alumni association of both universities. Some of his friends passed away but their children are still living here. They are in their 50s and 60s, occupying senior positions. “After 50 years, the UAE is more home to me than the UK. I have many friends here. I am happy here,” he says.